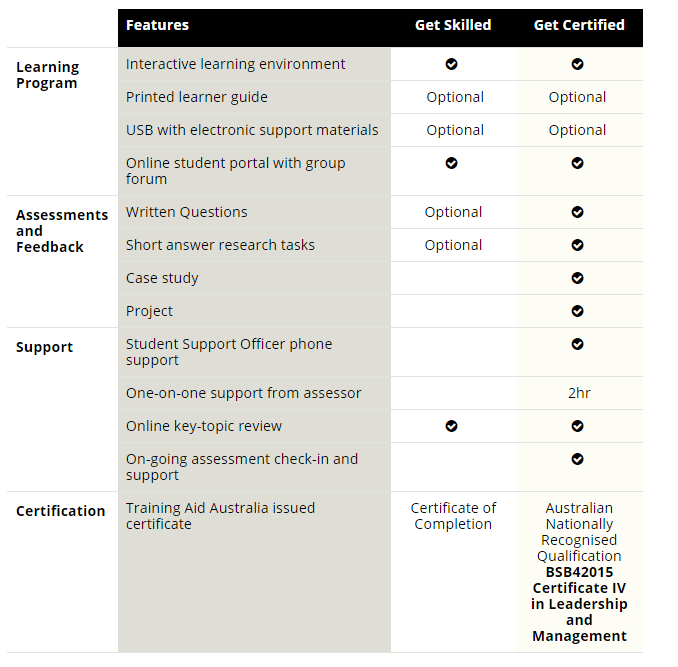 GET CERTIFIED = this program includes all the “GET SKILLED” components, then has required assessments for the opportunity to obtain an Australian Nationally Recognised Qualification – BSB42015 Certificate IV in Leadership and Management. If you are interested in the GET SKILLED program, please register your interest and we will contact you as soon as the program is available (due completion date is December 2015). The below table covers the Leadership & Management program topics & the subject areas which will be covered. unpredictable problems, and analyse and evaluate information from a variety of sources.